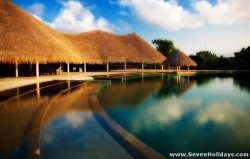 Alive with activities and charming flora, this resort has a friendly village feel. 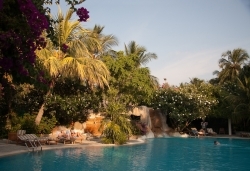 Come to dine well in classy comfort, and enjoy the chic pool, island spa and surf school. A Maldives look to a classic-style resort on one of the finest atolls. Everything in place, everything just so. A brilliant resort that even turned a reef problem into an example for the world. Re-opened as pretty much the same, old easy-going Fun Island. A great lagoon for relaxing in or enjoying watersports. A good reef for snorkeling. Clean rooms, good food. The allure of tiny Gangehi is something to do with the experienced owner, her loyal staff, the unrivalled cuisine, and pretty beaches. All-inclusive, even the fine diving. This is another island that is having a complete remake and whose plans are under wraps. There are a couple of key Maldives experiences that Soneva Gili doesn't really do well, yet I would rather holiday here than almost anywhere else in the country. 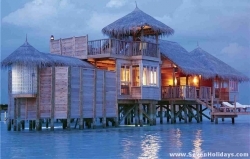 It’s no surprise to me it was named Most Romantic Resort in the Maldives 2013. Reborn as a place for affordable luxury. 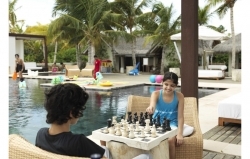 It is perfect for families, with a kid's club, innovative activities, a great pool and good food. 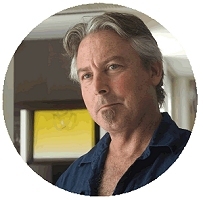 Your in good hands here. This resort is moving towards the classic relax-in-the-sun experience. Days are peaceful and the nights sociable. More activities available a ferry ride away. The dream of opulent splendour, surrounded by breath-taking design. 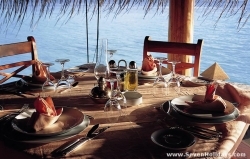 Experience indulgent cuisine and the underwater spa at one of the finest resorts in The Maldives. Striving towards the very best, with personalised butler service, glamorous old-style rooms, and plenty of natural space for a completely private holiday with the family. 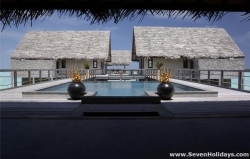 New resort with a wide choice of rooms, ideally situated on this handsome island. 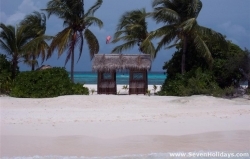 Promises seclusion and varied and unspoilt dive sites due to remote location. A Presidential Suite for actual presidents, Jumeirah's reputation brings 6 star luxury to the latest, greatest atoll for new resorts. This is getting away from everything and everywhere yet still remaining perfectly pampered. Unspoilt beach, a vast lagoon to play in, wrecks and dolphins nearby, and superior kids’ club, service, dining and spa – there’s pleasure for all on this luxurious island. Italian resort with a friendly atmosphere. Unusual buildings in layout and style, but inclusive buzz and idyllic setting for tasty, candlelit supper more than compensate. The perfect place to do as little as possible. Small, affable and quiet, it is first choice for those desiring laid back relaxation, as well as satisfying the underwater obsessions. 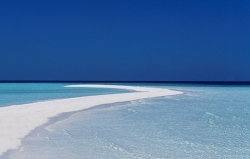 The long-established Kuramathi has been re-imagined and remade as a great four star plus resort. 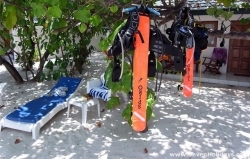 Top diving, snorkeling, leisure and entertainment. The original Maldives resort and still unique. 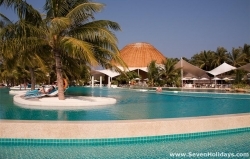 Layers of continual improvement have given this resort, close to the airport and Male, a place among the very best for fun, action and good value.